I added my first round of dry hops to my new Hazy – New England style IPA. 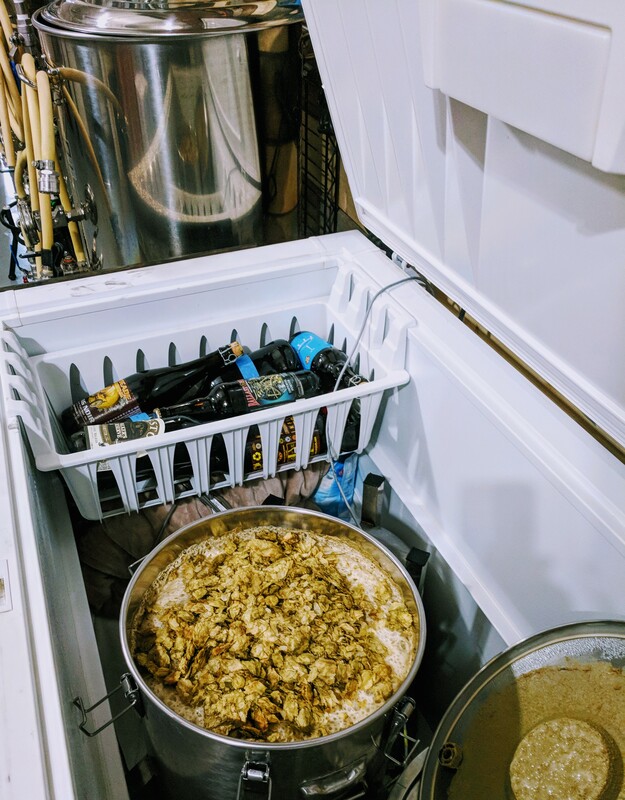 As opposed to adding the hops to the beer after the fermentation has completed which is typically for a West Coast style IPA, with a Hazy you add it early in the fermentation; in this case after 3 days. I will do a second round of dry hopping at day 7 of the fermentation as well. At this point I added 2 ounces of Mosaic hops and 1 ounce of Citra hops. The fermentation chamber is smelling incredible to say the least!